WINDOW SCREEN REPAIR AND REPLACEMENT SERVICE CONTINUES! Your source for repairing and replacing your window screens has moved just 1.5 mile down the road! For twenty years Bob Dacy at the True Value Hardware Store has been repairing and replacing window screens. In 2013, Bob decided to retire to explore other opportunities. In February 2014, Well Done Screen Repair, purchased the window screening department and continues serving homeowners, property managers and realtors in Northwest Austin. Well Done Screen Repair offers the same great service and competitive pricing you have been accustomed to at The Hardware Store. 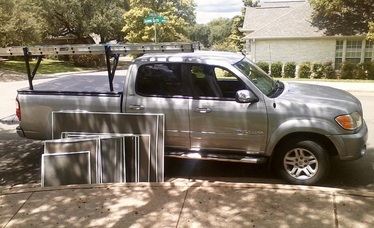 Well Done Screen Repair has pickup and delivery for your convenience. Or, you can provide measurements or drop off damaged screens and pick up your screens by appointment. yet still need solar protection.